Under the law of 11 March 1957 (Article 41) and the Code of Intellectual Property 1 July 1992, any partial or total reproduction for collective use is strictly prohibited without permission from Office of Tourism and Agglomeration Havraise. All elements, trademarks or other intellectual property on this sitae are the property of Office of Tourism and Agglomeration Havraise and are subject to copyright. All reproduction rights are reserved, including for downloadable documents. The name, text, graphics, icons, photographs, drawings, logos and more generally all the components of this site can not be any full or partial reproduction in any medium whatsoever, without the express permission of the company in accordance with the provisions of Article L 112-3 of the Code of Intellectual Property, and, under penalty of prosecution. 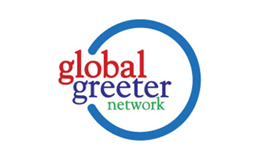 The gathered information is subject to a treatment designed to contact the selected greeter. 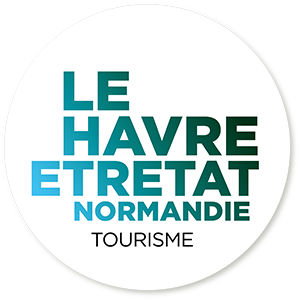 The data recipients are: The Office of Tourism and Le Havre Agglomeration and greeter concerned. In accordance with the “and Freedoms” of 6 January 1978 amended in 2004, you have a right to access and rectify information concerning you, that you can exercise by contacting The Office of Tourism and Agglomeration Havraise 186, Boulevard Clemenceau – BP 649 76059 LE HAVRE. This web site may contain inaccuracies or omissions. Its contents may be changed or updated at short notice. Office of Tourism and Agglomeration Havraisehowever accept responsibility for the information provided on its website. This information is for reference only, may not be complete and may be changed at any time without notice. Office of Tourism and Agglomeration Havraise not be either responsible for all damages caused because of access to the site, it is impossible for anyone to access or use. Office of Tourism and Agglomeration Havraise is not responsible for information provided by the links to other sites and the content thereof.